Last year we decided to take Michael to his first Easter egg hunt. 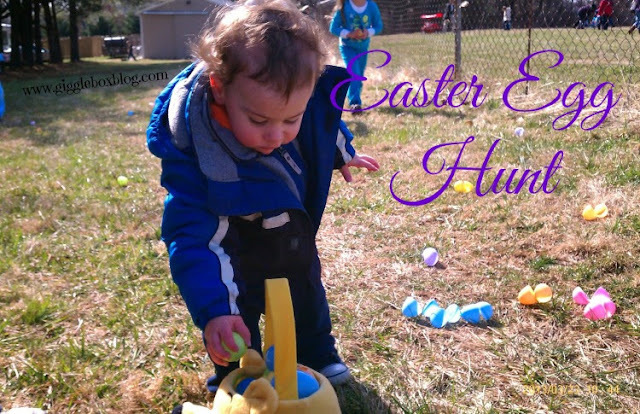 We felt that he was at the right age to go egg hunting. 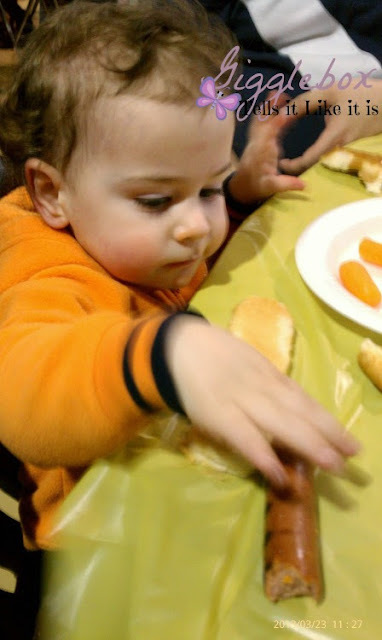 I'm so glad we did, he had a blast. 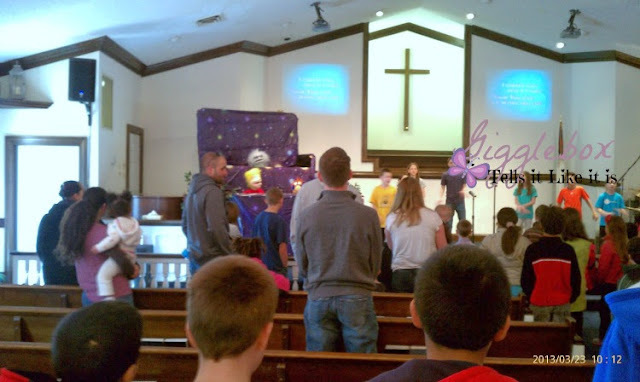 The egg hunt was at our church, The Worship Center, here in Leesburg, VA. The hunt started out with a little puppet show and some singing with the kids from children's church in the sanctuary. After the little service was over with, we went outside and were directed as to which areas were for what age groups. I loved that. All of the little kids were in the area in front of the church. That way they didn't have to walk too far to find eggs. There were also special eggs in each area. 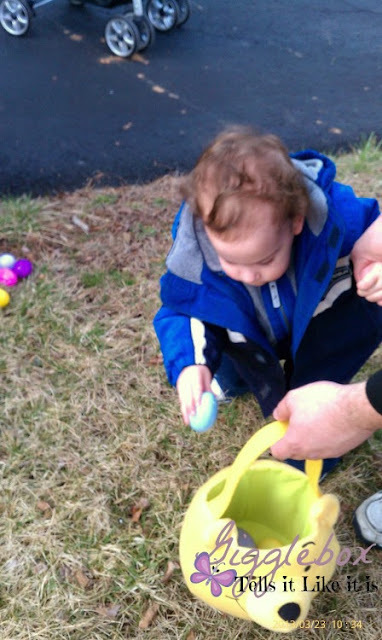 If you found the special egg, you could pick a prize from the pile of special egg prizes. 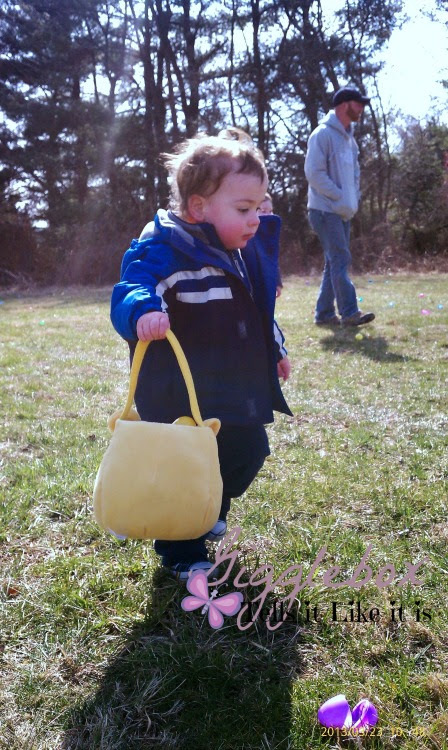 Michael didn't mind the walking so we went all the way to the baseball field looking for eggs. He just absolutely loved it. We brought our own basket, but they had bags available to those who needed one. There was also a raffle of a boy and girl bike (no extra cost). After gathering up eggs, they had in the side parking lot a little carnival set up. Michael didn't play any of the games, but I think this year he might. They had advertised last year that there would be 10,000 eggs, but they ended up having over 15,000 eggs at last year's hunt! I loved that they had an area where you could put your eggs in, after emptying them of course, so that they could reuse them for the next year. There was also hot dogs, snacks, drinks, and desert for everyone in the gym. We were totally surprised that this was all free! What an awesome way to minister to the community. So, if you live in Northern Virginia and are looking for something fun to do with the kids check out The Worship Center's calendar to see when the hunt will be. The whole family will have a blast. We did last year.